Neither rain, shine, nor downwards volley will best you in the Konrag Steel Kettle Helmet. Essential armour for medieval infantrymen, it protects the wearers face with a wide, downturned metal brim attached to its round skull cap. 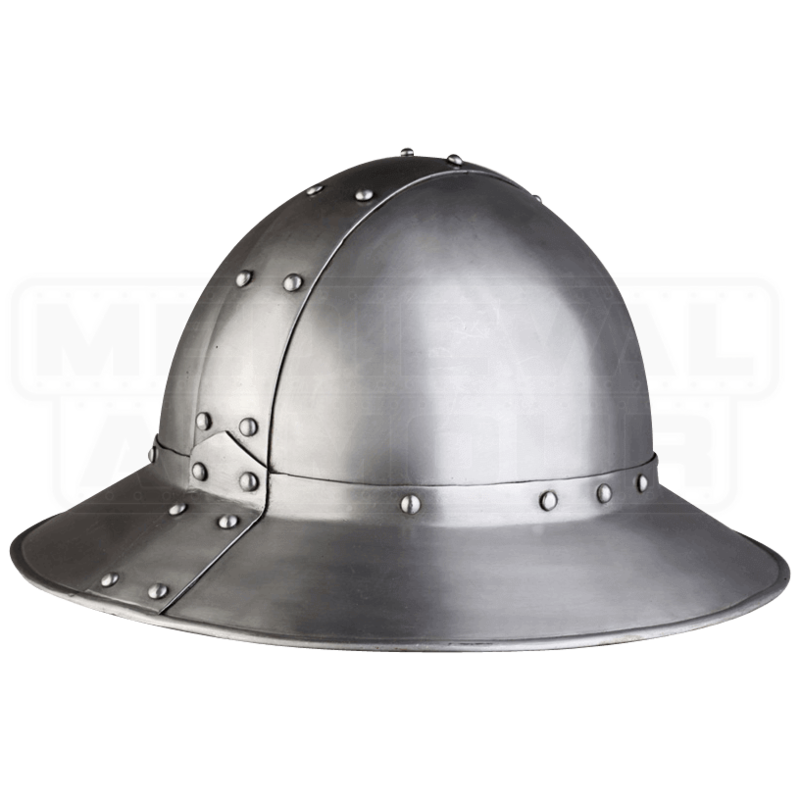 Handcrafted from steel, this medieval helmet features a distinctive shape commonly seen late in the medieval era. A strip of metal is riveted across the top of the skull, reinforcing its protective structure. 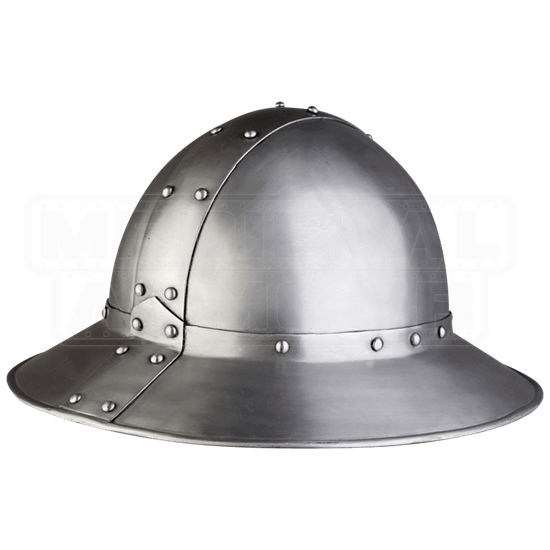 A must-have for any medieval or Renaissance foot soldier, the Konrag Steel Kettle Helmet is great for LARP and costume use. We recommend wearing a padded arming cap underneath the helm for proper safety and comfort.